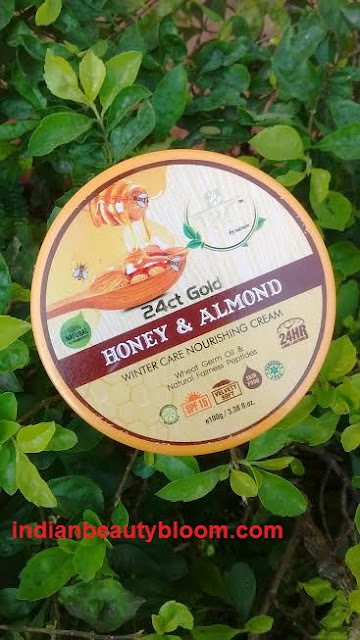 It’s 24 Ct Gold Honey & Almond winter care nourishing cream . 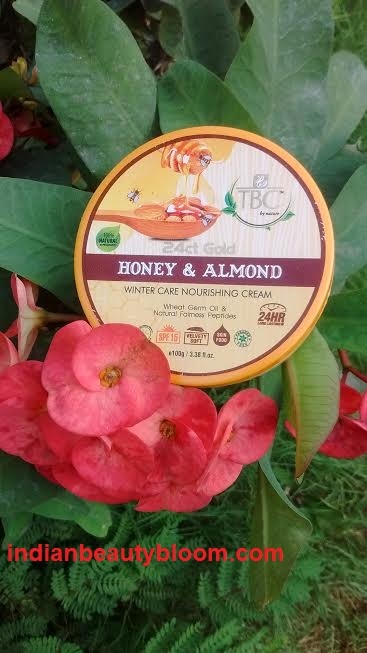 TBC By Nature is a new brand in Indian market which has various skin care products like Body Lotions , Face Cream , Night Cream , Sunscreen etc . This 24 Ct Honey & Almond cream is a type of winter care nourishing cream . Has goodness of honey , almond , aloe vera gel etc , all of which are good for skin and helps to completely moisturize the skin . An ideal product for winter skin care . The product has in a tub packaging . It’s a light yellow colored thick cream with a nice fragrance . 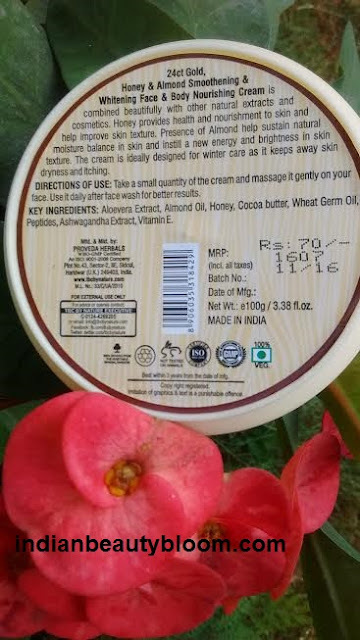 The product claims that it’s a combination of some natural extracts and cosmetic and it moisturizes and brightens the skin , prevents drying & itching of skin . 1.Contains natural ingredients like almond oil , aloe vera gel , honey all good for skin . 2. Affordable price , a good product at a price of Rs 70 for 100 gm is awesome . 3. Has SPF15 , so no need to apply a sunsceen cream after application of this cream as a day cream . 4.Not tested on animals . 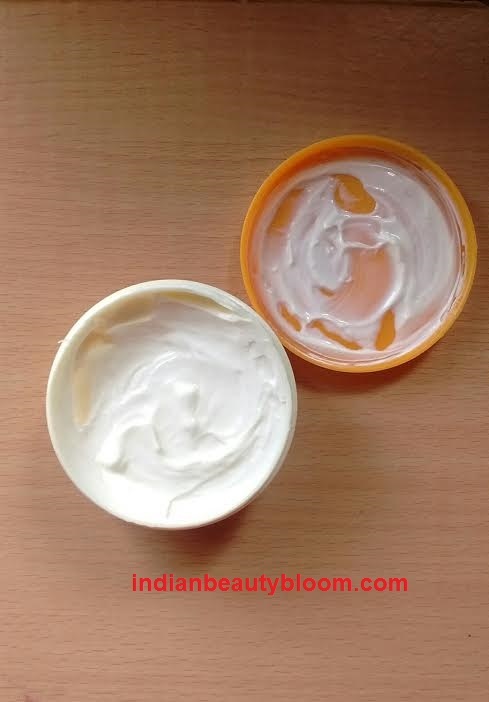 6.Completely moisturizes the skin and keeps it hydrated for a good period of time . 1.Availability might be an issue as available only on online stores and not on local stores . 2.Tub packaging is not too Hygienic . I have used this cream few times and I like it . Has a nice fragrance and it’s a good moisturizing cream specially for winters . Keeps the skin hydrated for a good period of time but not for 24 hours as the product claims .